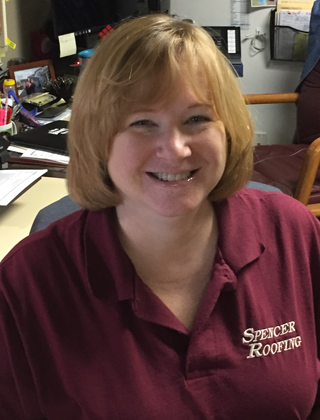 Spencer Roofing has been serving the lakes area of Oakland County and beyond since 1980. We take pride in providing high quality workmanship at a competitive price. We specialize in residential roofing at all levels. From a small leak or one blown-off shingle to a complete tear-off and roof replacement, we can handle any roofing issue you may have. 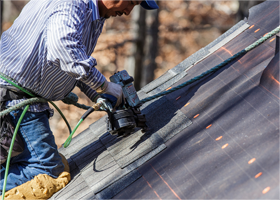 Experienced and honest, our team has a great reputation as your “hometown roofer” that cares about your home and property like it’s our own. Founded by David Spencer as a two-man team, Spencer Roofing grew and thrived in the 90’s into a company doing major condominium complexes as well as homes of all sizes. We have come full-circle and now specialize in serving homeowners, who have always been the roots of our business. As an owner of the company, Laurie does whatever is necessary to keep the business running smoothly. She assists with customer service, estimating, logistics, financing, meeting with homeowners, or just running for permits and materials. 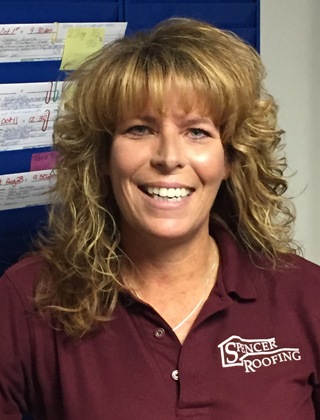 She loves helping our customers fix their problems and taking the stress out of the choices involved when they need a roof replacement. In her free time, Laurie enjoys spending time with her daughter, gardening and landscaping, remodeling projects and watching football. Mike has been in the roofing industry since 1980. 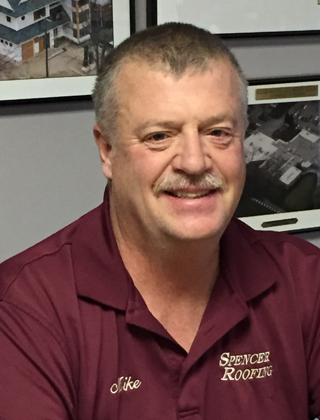 His experience and knowledge are key factors to the success of Spencer Roofing. He was born and raised in the Walled Lake area. Mike does estimates, schedules projects, oversees the crews, and much more. He enjoys meeting new people and, when a job is completed, his hope is that he has made a new friend - not just another client. Mike always finds a way to be involved in the community, and has especially enjoyed coaching girls softball for the past 15 years. If you ask Mike, community is what it’s all about. He believes it really does take a village. In Mike's down-time he enjoys spending time with family and friends. Often you can find him down at the beach/park helping to make it a great place for his neighborhood. He likes to golf, play softball, and loves the Detroit Tigers. 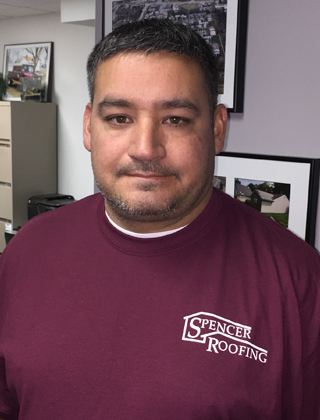 Jimmie has worked at Spencer Roofing since 1999. He is an expert at all levels of roof repairs, big or small! He is thorough, detail-oriented, and loves helping homeowners and business owners find and fix any leak. In his free time, Jimmie loves hanging out with his kids and watching Detroit Tigers baseball. Katie joined the Spencer team in 2010, and she has been running the show ever since! She enjoys helping clients when they call or visit the office:. Whether it’s a simply question, helping pick shingle colors, or scheduling appointment, customer service is her number one priority. Katie has a strong background in human relations, accounting, and management. As our office manager, she is in charge of our accounting department, IT issues, inventory control, and just about anything that comes up. In her free time, Katie loves spending time with her family & friends. She loves being involved in the community and was on the booster boards for WLC Marching Band and WLN Football. Katie enjoys going to see movies and sporting events, and traveling. When it comes to protecting your home and your family, we've got you covered! Contact Spencer Roofing today by calling (248) 669-9730, or fill out our quick contact form. We'll call you back within 24 hours!